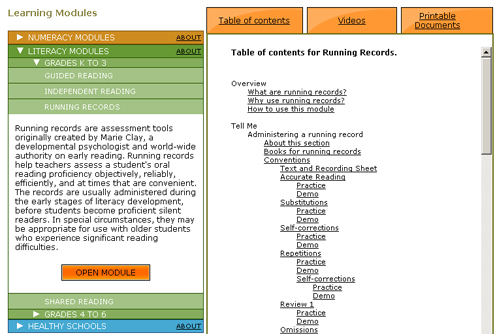 The eWorkshop website is organized into colour-coded modules under Literacy and Numeracy headings. The Numeracy modules are yellow, while the Literacy modules are green. Each subject area is divided into grades K-3 and grades 4-6.